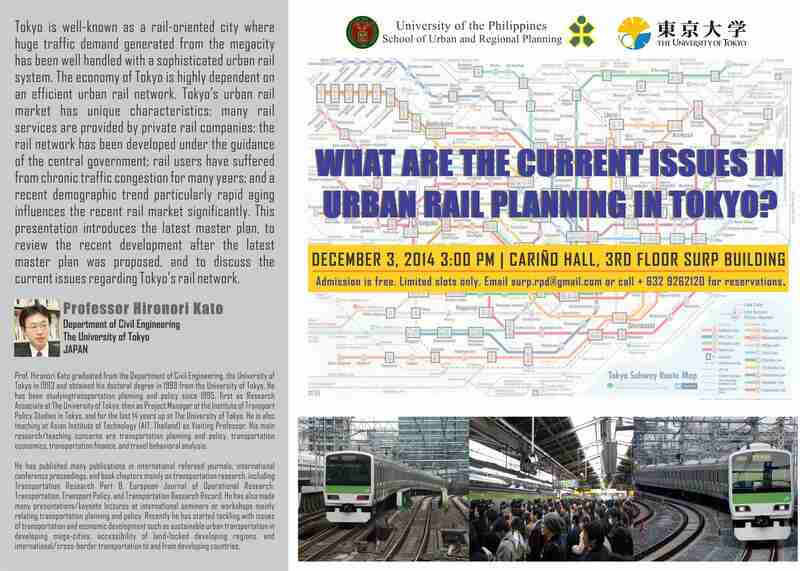 The UP School of Urban and Regional Planning (UP SURP) will host a public lecture entitled “What are the Current Issues in Urban Rail Planning in Tokyo?” at the 3rd Floor Cariño Multi-Purpose Hall of UP SURP on December 3, 2014, at 3:00 in the afternoon. The lecture will be delivered by Prof. Hironori Kato, of The University of Tokyo, Japan. Prof. Kato’s lecture shall touch on the characteristics and complexities of Tokyo City’s urban rail system, and how the rail-oriented megacity has benefited from its sophisticated and efficient urban rail network. With the city’s economy highly dependent on its rail network, the presentation shall look into the unique characteristics of Tokyo’s urban rail market, particularly how railway services are provided by private railway companies. A discussion shall be made on how these private companies have been guided by the central government in the development of the rail network to what it is today. The audience shall also be given a glimpse of the latest master plan and the recent developments after the master plan was proposed. Current issues regarding Tokyo’s rail network shall also been discussed in the lecture. 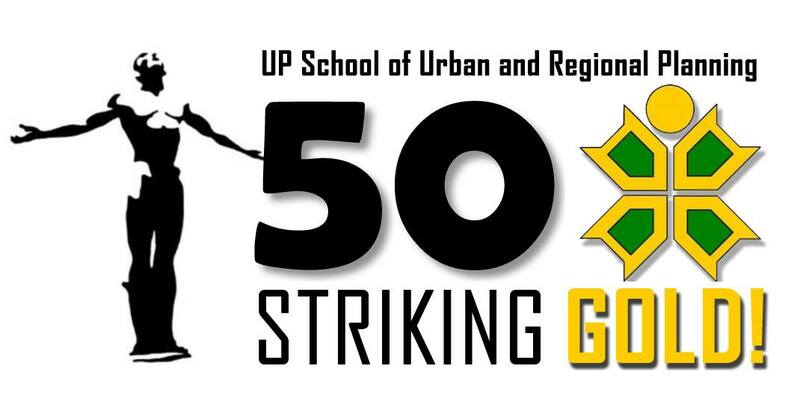 Participants may RSVP to (02) 926-2120 to attend the lecture. There is no entrance fee, but as slots are limited, interested parties are advised to register early. Prof. Kato is a faculty member of the Department of Civil Engineering, the University of Tokyo, Japan. His interest in the field of transportation planning and policy dates back to 1995, during his time as a Research Associate in the university. His teaching and research interests include areas of transportation planning and policy, transportation economics, transportation finance, and travel behavioral analysis. 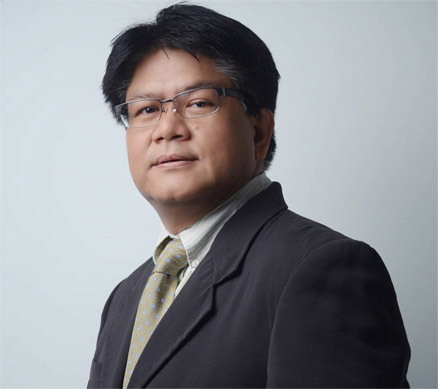 As a researcher, Prof. Kato’s numerous works have been published in international refereed journals, international conference proceedings, and books chapters on transportation research.